Young Sportswoman In Orange Sneakers Training At Wooden Park Bench On Summer. Lizenzfreie Fotos, Bilder Und Stock Fotografie. Image 117834543. 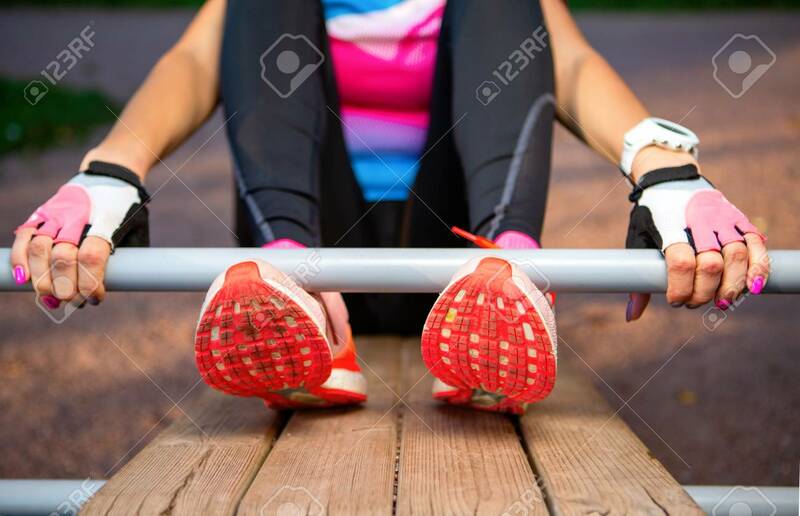 Standard-Bild - Young sportswoman in orange sneakers training at wooden park bench on summer. Young sportswoman in orange sneakers training at wooden park bench on summer.